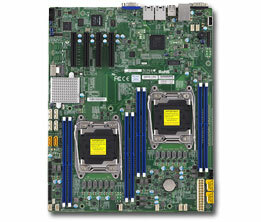 Build to order 4U servers support both Motherboards (ATX/EATX), and Industrial computing platform PICMG Single Board Computers (SBC) and Passive Backplanes. 4U chassis is a modular design which can be easily converted between using a Motherboard or an Industrial PICMG platform when needed to change or upgraded. The chassis is supported both single power supply or redundant power supply to enhance power stabilization. RAID storage configuration is also supported(hotswap drive bays are optional). Our state of the art server continues to support customer legacy peripherals such as ISA, PCI, PIC-X add-on card and/or current standard PCI-e for further expansion.